OUR WHITE HOUSE. Illustration © 2008 by Barry Root. Reproduced by permission of the publisher, Candlewick Press, Somerville, MA. Barry Root spent a good bit of his childhood lying on the floor, reading stories and drawing pictures with his brothers. He always planned to be an artist, without really thinking about it much, and when the time came, he got up and went off to art school. After graduation, he worked freelance illustration jobs for newspapers and magazines but soon discovered that storytelling with pictures was what he wanted to do. Since that time he has illustrated many picture books for children, including, SOMEPLACE ELSE, by Carol P. Saul, a N. Y. 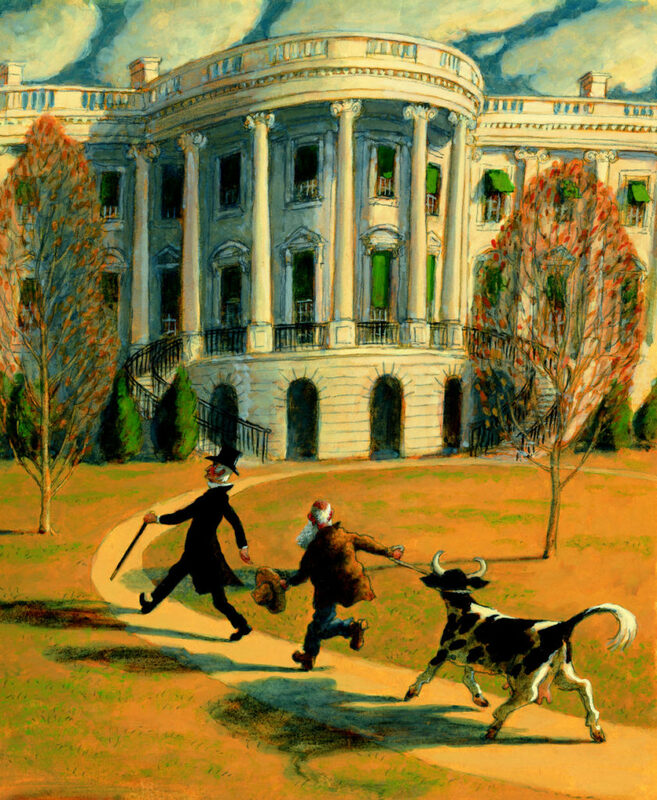 Times Best Illustrated Book. He lives in rural Lancaster County, Pennsylvania in a hundred-year-old farmhouse with his wife, the illustrator Kimberly Bulcken Root, two sons (a daughter is now living on her own), and a sweet rescue pit bull named Xavi. 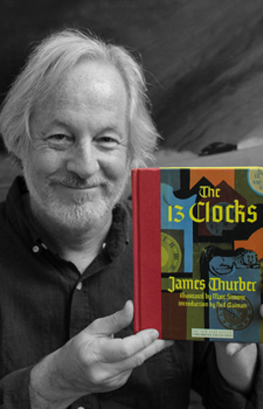 Illustrator Barry Root recommends The Thirteen Clocks (NYR Children’s Collection, 2008), written by James Thurber and illustrated by Marc Simont, as a Great Read for ages 8-12. Check out more Great Reads on thencbla.org.